Having bipolar disorder is a condition that affects every facet of your life. As an adult dealing with this disease, many challenges and modifications lie ahead to manage its symptoms while at the same time, taking control of your life and refusing for the chaos to define you as a person. Bipolar disorder is not common in adults, in fact, it can affect children and teenagers as well; therefore, it can affect anybody regardless of age, race, and gender. 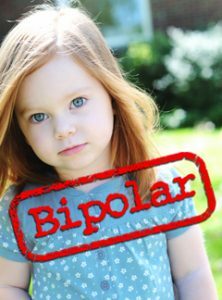 Bipolar disorder in children is complicated as well because of the reality that they are still developing towards developmental milestones. Often, parents have difficulty handling tantrums, anger and manic episodes of their child with bipolar. According to experts, every child like any other human being gets angry and upset, but in cases of bipolar, they can have extreme behavior towards anger and irritability. At times, the usual management of rage such as timeouts and disciplinary measures in a typical child might not be practical with cases of bipolar disorder. Fortunately, the situation is not hopeless. More than ever, the treatment procedures are currently available to aid in dealing with anger and tantrums in bipolar children. Not only that, research and studies are ongoing, and improvements of treatment modalities are made to provide the best possible care given with present knowledge available about the condition. Anger is widespread in these individuals as compared to those with clinical depression. Moreover, bipolar children have more anger tendencies than adults with the same condition. In children, manic episodes are related with outbursts of anger than feeling elated that is more common for adults in the manic state. Lastly, children don’t have the emotional maturity and effective coping skills to self-soothe and handle anger outbursts. Since the primary reason on how bipolar disorder occurs, experts thought that imbalances in the brain chemistry play a significant role in the condition. The anger felt by children with the bipolar condition is often triggered by stress. However, the exact reason for their anger issues is unknown. Mood changes in bipolar teens and children are more rapid than that of adults with bipolar, and the mood changes are manifested as anger episodes. In the height of their anger and rage, these children demonstrate extreme tantrums which may be accompanied by aggression in physical and verbal forms. In fact, it is common for children with bipolar to hurt their playmates and family members, show aggressiveness and destructive behaviors. Also, most of the time they are further aggravated when being disciplined and when told “NO.” These tantrums are not minutes long. It can last for hours. Also, these types of children are daredevil and risk takers. Here are examples of ways to prevent a manic episode. Provide a well-balanced diet and encourage them to exercise. Try to set a regular sleep schedule and be consistent with these routines. Take the medicines at the proper time as prescribed the doctor. Avoid substances that can start a manic episode such as caffeine and overwhelming stress. Learn to identify the early signs and strategies to de-escalate the possible manic episode. Plan on how to handle manic episodes. Make sure that there is a responsible person in school or at home who knows how to help you during these episodes.